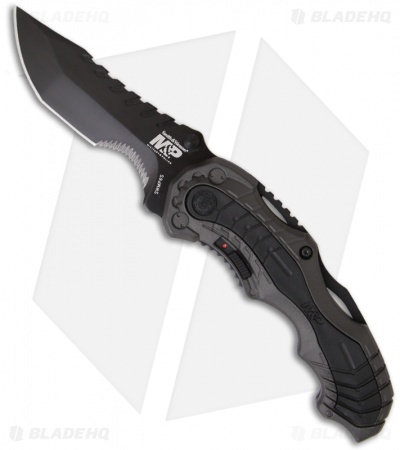 The SWMP6S model features a slate gray colored aluminum handle with black rubber inserts. The 4034 stainless steel blade is black finished with a partially serrated edge. Includes safety and tip-up carry pocket clip. 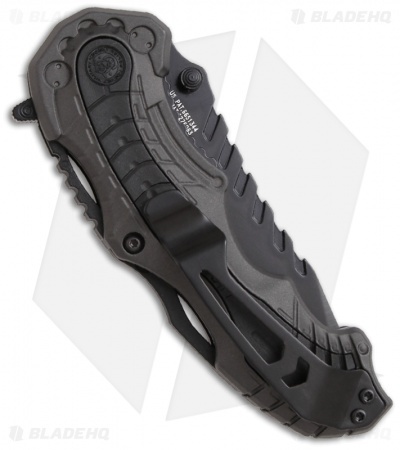 The Smith and Wesson SWMP6 series is the newest addition to the Military and Police line. It utilizes the MAGIC spring assisted opening mechanism. The blade is deployed using the thumb stud or you can push the tab on the spine of the knife and it opens automatically. M.A.G.I.C. stands for Multipurpose Assisted Generational Innovative Cutlery.